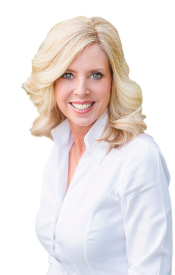 Denise is a dedicated Full Time Realtor® serving both buyers and sellers in the East Tennessee real estate market. She is focused on providing her clients outstanding service and is dedicated to their best interest. Denise and her husband are both Knoxville natives; they have a son who just graduated from the University of Tennessee and is now attending law school at Arizona State University. They also have a precious four-legged fur baby, Sawyer. In Denise’s spare time she is volunteering with Adopt-A-Golden helping golden retrievers find their forever homes. She also gives her time to UT Medical Center “cuddling” the infants in the NICU. Denise is a caring individual with a serving heart and her passion is helping people. Whether you are a first time home buyer, relocating to the Knoxville area, or ready to upgrade or downsize, Denise will listen to your needs and walk you through the process of buying or selling your home.